For the 500 years since Christopher Columbus landed, Native Americans have been killed, suffered deadly epidemics, and been dispossessed of their land and deprived of their culture. While the United States has slowly come to terms with at least some of this history, native reservations remain among the most impoverished places in America. They are also victims of environmental injustice, as mines, powerlines, toxic dumps, and pipelines have been built near or on tribal lands with insufficient input from the inhabitants. The Navajo, whose reservation is located in Arizona and three other states, are one nation that has long suffered such injustice. Three coal plants are located within the reservation, while four others surround it. 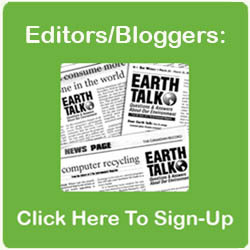 Emissions from such plants raise the danger of heart attacks, strokes, asthma, bronchitis and lung cancer. Yet many of the reservation’s 200,000 residents lack electricity and running water. Most of the energy generated on tribal lands goes to outside consumers. 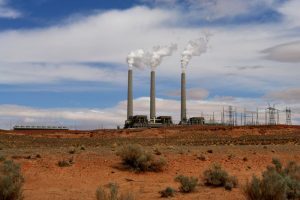 Despite these problems, the Navajo Generating Station (NGS), the only federal-government operated coal station, is not being made to fully comply with clean-air regulations until 2044, although such cleanup is required within five years for other coal plants. The government ruling on the NGS is currently being appealed by three Navajo community organizations, To’ Nizhoni Ani, the Black Mesa Water Coalition and Diné Citizens Against Ruining Our Environment. “Smokestack pollution from NGS sickens our skies and land and children and elders just as coal smokestack pollution does anywhere, so why is the Navajo community afforded less protection?” asks Nicole Horseherder in a press release. Editor’s Note: We attempted to contact the Bureau of Indian Affairs and other government agencies for their response to questions brought up in this article, but we have not heard back. After significant delays, we have decided to run this piece as is. Nuclear is cheapest, less environmentally damaging, jobs with safe mining for Navajo Lands. Bloomberg is PRO Nuclear. IVANPAH==2.2 Billion dollar, 6000 bird killing / year, 377 megawatt net solar complex using mirrors to focus the power of the sun on solar receivers atop power towers How is 377 MW (but 24/7== 377/2) going to replace .2200 MW Coal?? Fry me some CA Condors Please.